Based on a field proven design, SAFEPOWER CPS provides a competitive solution to 'EMERGENCY POWER SUPPLY' applications which include Emergency Lighting. 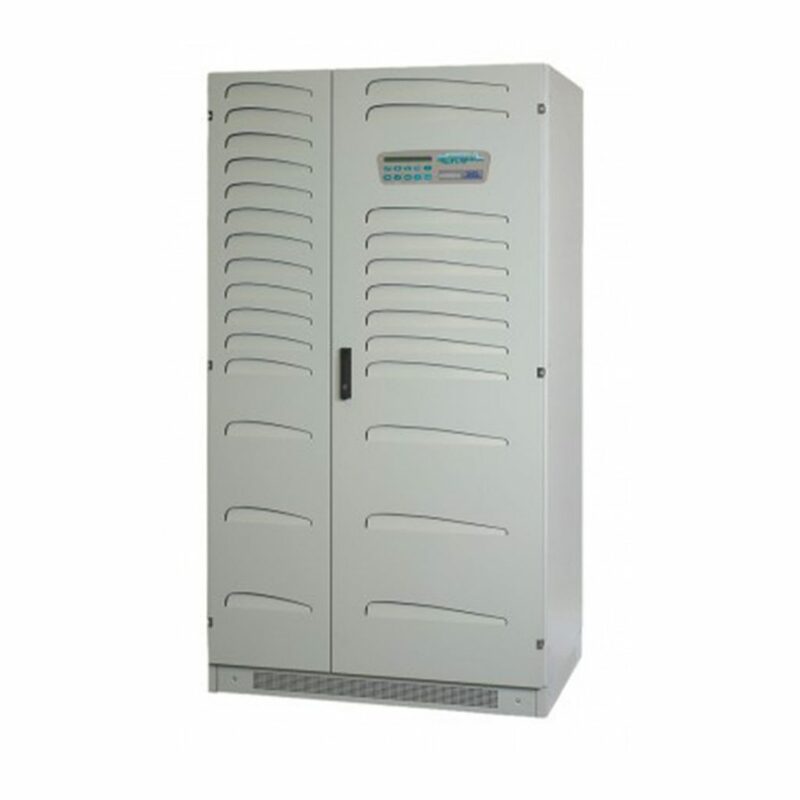 Systems are fully compliant with BS EN 50171-2001 for CENTRAL POWER SUPPLY SYSTEMS. Load supplied from output of Inverter all the time. SAFEPOWER CPS can be configured for ‘Parallel’ operation for either Capacity and/or Redundancy. Rectifier/Charger – fully rated to meet the recharge times specified within BS EN50171 including ‘temperature compensated’ battery recharging. PWM Inverter – with capability for continuous operation at 120% PLUS additional overloads of 150 & 125% for 10 minutes & 1 minute respectively. Batteries of sufficient capacity to support the rated load for 1 or 3 Hours (other autonomies can be supplied to suit specific applications). Available in a wide range of output powers up to 200kVA (higher outputs available – please contact SIEL Energy Systems). Can be configured in ‘Parallel’. 2 line’s each of up to 80 characters alphanumeric display provides access to a wealth information, including; real-time measurements, system status and operating status via a LED mimic panel. Integral customer interface provides access to a variety of multi-platform communication interfaces including RS232, Optical, and volt free contacts. SNMP for network monitoring and compatible with a range of monitoring and shutdown software. REPO (Remote Emergency Power Off) to shut down the UPS remotely in an emergency.